In 2017, the Economic Development Corporation of Shasta County will celebrate its 60th year of operation. The following is a summary of the history of the EDC and a snapshot of some of the noteworthy accomplishments that have taken place over time. Throughout its history, the EDC has remained an active organization with a strong constituency of public and private partners and a clearly defined role. Today the EDC functions as the lead organization in Shasta County to help create a vibrant economy through the addition of new capital investment and quality employment opportunities. The Shasta EDC has been working on behalf of county residents over the years in numerous projects that have all been building blocks to stabilizing an economy that historically has been reliant on seasonal and cyclical employment. The Economic Development “Commission” of Shasta County was originally formed on September 16, 1957 with the objective “to promote and encourage a balanced economic growth in Shasta County.” The idea for the new organization was generated through the Redding Chamber of Commerce. The formal filing of Incorporation for the Economic Development Commission of Shasta County took place on January 6, 1958. This makes the Shasta EDC the “second” oldest Economic Development Corporation in the State of California, after the San Mateo EDC. The name was formally amended to Economic Development Corporation of Shasta County on May 18, 1964. The original Board of Directors for the Shasta EDC was made up of business representatives from throughout the county, as is the case today. They were, Lou Gerard, M.F. Parker, and Charles J. Gleeson from Redding, A.B. Hood, Edward McMahan, Matt Burgan and John Perez from Anderson, G.F. Forester from Cottonwood, John H. Carlton from Burney and William Phelps from Fall River. Today Directors of the EDC are named by its permanent members, the County of Shasta, the City of Redding, the City of Anderson, and the City of Shasta Lake. Throughout the earlier years of the organization, functions primarily involved gathering statistical information regarding county industries and most importantly providing a central source of area information for companies looking at Shasta as a potential location. Even in those earlier years, when the wood products industry was thriving, local business, community and government leaders understood the concept of “economic diversification”. They also understood the value of having a private, central clearinghouse for economic development activities, an organization that could support each local government and leverage area resources to promote economic development in the county. The history of the EDC has included a number of activities and developments over the years that are particularly significant accomplishments. The development of the Mountain Lakes Industrial Park in the late 1960’s was achieved through the leadership of General Manager Virgil Covington, who became known ultimately as one of the most recognized economic development “gurus” in California. In order to raise private money for the development of the county’s first industrial park, the EDC sold non-interest bearing notes that raised over $200,000. Along with state and federal grants, the Park was finally built and dedicated in 1970 with a ceremony that also announced the location of the first new company, Wonder Metals, who ultimately built a 25,000 square foot plant on Caterpillar Road. Throughout the 1970’s, the EDC, as the landowner in the first phase of the park, primarily worked on marketing the sites to both local and out of town companies and in providing financing opportunities through the U.S. Small Business Administration. It was one of these loans that allowed Dickers Department Store to be completed as one of the primary anchors of the Downtown Mall in Redding. In the 1980’s the EDC grew as a financing authority in a number of different ways. The U.S. Small Business Administration qualified the EDC as a Certified Development Company (CDC) for the 504 program. As a result of that program numerous local commercial and industrial enterprises have been able to take advantage of this below market financing program that offers 90% financing for qualified projects. Additionally, in 1980, the EDC formed the Superior California Economic Development District, a federally funded multi county authority that provided technical assistance to communities seeking grants and resources for infrastructure development and also provided a $1,000,000 capitalized loan fund for Small Business Loans in the region. In 1989, the two organizations decided to operate separately, with the SCEDD taking on the role primarily for Small Business Financing and technical assistance, which included the services offered through the Small Business Development Center, now operated through Shasta College. In 2009 the SCEDD took over as the CDC for the SBA 504 program. The two organizations still work closely together as collaborative partners, each providing an economic development program mindful not to duplicate efforts. In the mid 1980’s, the EDC took on a leadership role in the county for industrial recruitment. As a result of a private venture called RADCO, the Redding Area Development Committee, the Stanford Research Institute, SRI International, completed an area profile and target industry analysis. That study set the stage for the EDC’s recruitment strategy that included industry trade shows, advertising and the coordination of area tours for industry executives and owners. Although local government always contributed funding in a limited fashion to the EDC in these early days, the bulk of funding for these expensive marketing activities were generated by EDC reserves that were the results of land sales from Mountain Lakes. Also, during this time period, the Private Industry Council contributed significant funding, until changing legislation prevented it in 1990. During the 1990’s EDC served in its capacity of the countywide Economic Development organization by acting as the lead in the development of the application for a coveted state Enterprise Zone. This program was designed as an opportunity for communities to compete head to head for 11 new designations. The EDC led the charge for Shasta County and pulled together the City of Redding, the City of Anderson and the County of Shasta to develop a joint application. Although more cumbersome, this process allowed for resources to be combined by all of the jurisdictions through the EDC’s involvement and prevented the three location jurisdictions from competing against each other. Ultimately, it was that strong working relationship that remains even today throughout the county that led to the successful designation of the Shasta Metro Enterprise Zone on November 11, 1991. The Shasta County joint effort culminated in the creation of one of the largest Enterprise Zone’s in California, over 50 square miles. It included over 5,000 acres of industrial property ranging from Mt. Gate to Cottonwood. There was literally no industrial site along the I-5 corridor that was not in the Shasta Metro Enterprise Zone. In 2006 EDC was the lead in another joint application as the 15-year zone designation was about to expire. 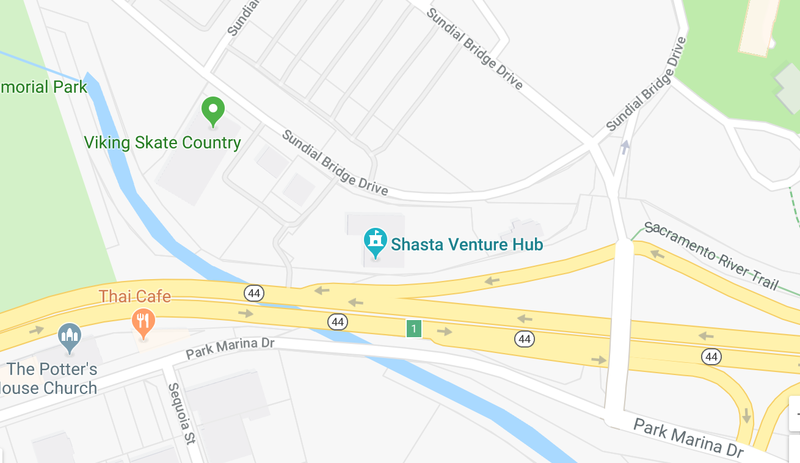 A new Shasta Metro Enterprise Zone was designated November 6, 2006, allowing Shasta County businesses to continue to take advantage of state tax credits for 15 more years. In May 2013 the zone was expanded to include many of the rural Eastern communities of Shasta County. Later in 2013 legislation was passed ending the program. Throughout the 1990’s the EDC was in continual reorganization, with the decision of management and Directors to seek ways to be more competitive in the industrial recruitment arena. During this time period the EDC had received consistent support from the public entities. However this was not nearly adequate to compete in the marketing and recruitment arena that had developed as competition for envied primary industry employment, specifically in the manufacturing sector. Therefore, if the EDC was truly going to function as an industrial recruitment organization for the county, it needed the resources to compete. The EDC needed a comprehensive plan and the private sector leadership would support it if the public support could also be maintained. In 1996, Shasta 2001 was created; a countywide initiative based on a comprehensive strategy that included Business Development, local Business Expansion and Retention, Media Relations and Special Projects. Goals of 500 direct new jobs, and $1.75 million in new capital investment were established for the plan. In the first year local companies invested $300,000 in Shasta 2001, more than doubling the EDC’s budget. All of this was accomplished because of “leadership”, specifically from key business groups such as the Shasta Builders Exchange, the Redding Chamber of Commerce and the Shasta Board of Realtors. These groups along with Presidents, CEO’s and owners of major local business enterprises made a conscious decision to participate in the health of the local economy, both with time and money. City and County administrators and elected officials have also continued and even increased their funding, even during hard times, in a truly effective private/public partnership. Since the original Shasta 2001 Business Plan was approved, targeted plans have continued to be implemented to follow the ever changing economic trends and industry needs. The EDC remains committed not only to bringing new primary employers into the economy but also to helping local manufacturing companies expand. The Retention Program and SBA financing programs are elements that support existing manufacturers in the hopes that new quality employment and wealth can continue to increase Shasta County’s economic diversity and stability into the 21st Century. The EDC continued in its role of economic development leadership by being directly involved in the development of Stillwater Business Park. The EDC played a role early on in helping identify the need and the potential sites for this 700-acre development and today plays a role in its marketing program. Stillwater sets Shasta County apart from other locations by providing “ready to go” large sites for industry. As it did with the development of Mt. Lakes Industrial Park, the EDC has helped build the community consensus about the need for sites and facilities as an inducement for companies seeking new location choices. In 2012 EDC identified a dozen companies that were operating under the radar in the technology field doing work in medical device, software development, and technology engineering. EDC played a support role to these companies and found incubation space in existing business facilities for these startup companies, but as the number of companies increased the availability of space decreased. Once again, with the support of major local businesses, the EDC opened the Shasta Venture Hub. The Hub provides independent office space for 13 startup companies and drop-in space for developers, creatives and entrepreneurs; a regional center for startup development providing a connection point for all available resources. The Vision Statement adopted in the current Business Plan clearly states that Shasta County will work toward building a globally connected innovative region for manufacturing and technology that provides strong competitive advantages for business and attracts entrepreneurs. The EDC is part of a strong network of support for business in Shasta County and thanks all of its private and public partners.